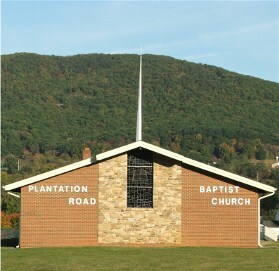 I traveled down to Roanoke yesterday for the first bi-monthly meeting of the fall of "The Society for the Preservation of Baptist Principles and Practices" at Plantation Road Baptist Church. Paul Washer of HeartCry Missionary Society was the guest speaker. Ron Young, Sr. asked me to introduce Paul for the meeting. Paul’s first message was from Luke 18:1-8 and Hebrews 11:6, and I gave it the title “The Minister’s Prayer Life" when I posted it online this afternoon. Much of the message centered on urging those who hold to Reformed doctrine not to neglect the experimental aspects of the faith, including cultivating a deep prayer life and boldly asking for great things from God. The second message was a presentation on the missionary philosophy of HeartCry Missionary Society (I posted it early this morning as "A Vision for Missions" to sermonaudio and when I checked this afternoon it already had over 800 downloads!). Here, Paul told a gripping story of buying books for a Peruvian Pastor that left few dry eyes and unmoved hearts in the room. We have so much! Our God is so generous!